Under the Red Sky is the twenty-seventh studio album by American singer-songwriter Bob Dylan, released in September 1990 by Columbia Records. The album was largely greeted as a strange and disappointing follow-up to 1989’s critically acclaimed Oh Mercy. Most of the criticism was directed at the slick sound of pop producer Don Was, as well as a handful of tracks that seem rooted in children’s nursery rhymes. 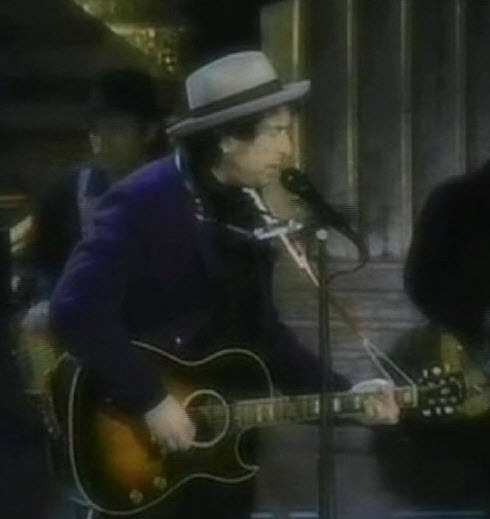 It is a rarity in Dylan’s catalog for its inclusion of celebrity cameos, by Slash, Elton John, George Harrison, David Crosby, Stevie Ray Vaughan and Bruce Hornsby. Dylan has echoed most critics’ complaints, telling Rolling Stone in a 2006 interview that the album’s shortcomings resulted from hurried and unfocused recording sessions, due in part to his activity with the Traveling Wilburys at the time. He also claimed that there were too many people working on the album, and that he was very disillusioned with the recording industry during this period of his career. 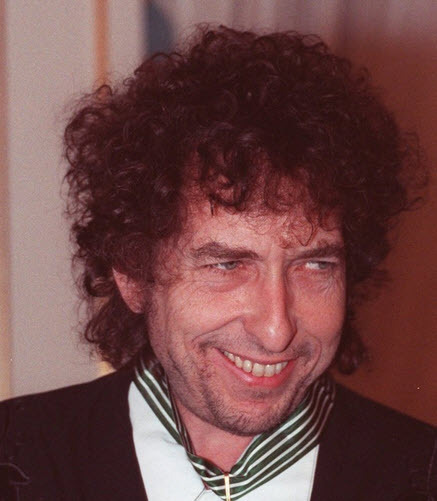 Dylan critic Patrick Humphries, author of The Complete Guide to the Music of Bob Dylan, was particularly harsh in his assessment of Under the Red Sky, stating the album “was everything Oh Mercy wasn’t—sloppily written songs, lazily performed and unimaginatively produced. This Was Bros. pseudothrowaway improves on the hushed emotion, weary wisdom, and new-age “maturity” of the Daniel Lanois-produced Oh Mercy even if the lyrics are sloppier–the anomaly is what Lanois calls Oh Mercy’s “focused” writing. Aiming frankly for the evocative, the fabulistic, the biblical, Dylan exploits narrative metaphor as an adaptive mechanism that allows him to inhabit a “mature” pessimism he knows isn’t the meaning of life. Where his seminal folk-rock records were cut with Nashville cats on drums–Kenny Buttrey when he was lucky, nonentities when he wasn’t–here Kenny Aronoff’s tempos are postpunk like it oughta be, springs and shuffles grooving ever forward. The fables are strengthened by the workout, and as a realist I also treasure their literal moments. I credit his outrage without forgetting his royalty statements. I believe he’s gritted his teeth through the bad patches of a long-term sexual relationship even if he still measures the long term in months. And when he thanks his honey for that cup of tea, I melt. possibilities of nursery rhyme that is alert, fresh and imaginative, and an achievement that has gone largely unrecognised. It’s a magnificent album, really, and I love every performance on it. Oh, there have been times over the years when I’ve had my doubts about “10,000 Men” or “2×2,” but as with a good concert, each performance in sequence opens doors in listener and singer and musicians and, because the whole is greater than the sum of the parts, the parts are elevated in dignity and expressive power just by their connectedness to that whole. So I find myself getting into the groove of “10,000 Men,” the easy flow of the language, the surprising shouts and whispers of the vocal, the irrepressible Under the Red Sky humor that chugs along throughout (and catches my attention at different moments every time I listen). Dylan followed Oh Mercy, his most critically acclaimed album in years, with Under the Red Sky, a record that seemed like a conscious recoil from that album’s depth and atmosphere. By signing Don Was, the king of mature retro-rock, as producer, he guaranteed that the record would be lean and direct, which is perhaps exactly what this collection of simplistic songs deserves. Still, this record feels a little ephemeral, a collection of songs that Dylan didn’t really care that much about. In a way, that makes it a little easier to warm to than its predecessor, since it has a looseness that suits him well, especially with songs this deliberately lightweight. 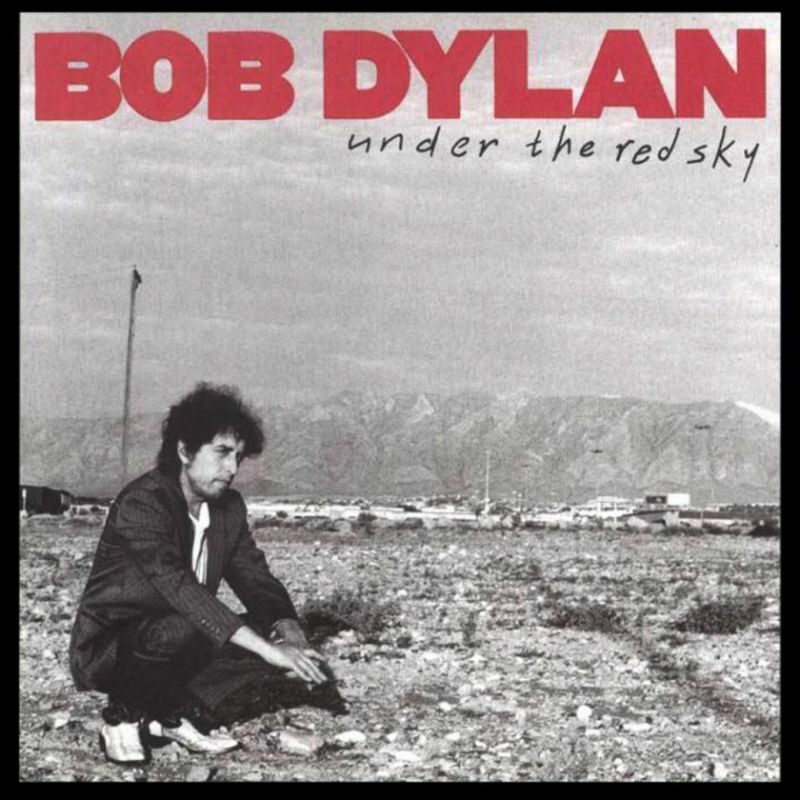 As such, Under the Red Sky is certainly lightweight, but rather appealing in its own lack of substance, since Dylan has never made a record so breezy, apart from (maybe) Down in the Groove. That doesn’t make it a great, or even good, record, but it does have its own charms that will be worth searching out for Dylanphiles.